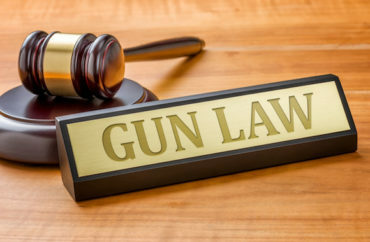 In order to remain a viewpoint “content-neutral” public university, the University of Texas requested that all outward-facing anti-gun signs be taken down from professors’ office windows. The deadline for the “voluntary” compliance was two days ago. The signs, which read “Gun Free UT,” are an homage to the group by the same name formed in response to Texas’s 2016 campus carry law. UT history professor Joan Neuberger claims there was never any official administration directive regarding signage. Neuberger is a leader in Gun Free UT and has one of the signs in her office window. “What happened this summer is that the chairs were informed by their deans in a message that came from the president that they wanted us to take the signs down,” she said.